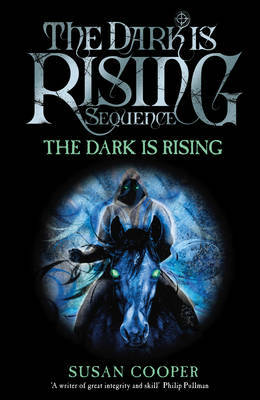 Back in middle school, when I was discovering fantasy books and reading through my school library, one of the very first series that I found and devoured was Susan Cooper’s The Dark is Rising sequence. The library initially only had the first two or three books, but over the course of my time there, the librarian gradually bought the rest of the series. I’m pretty sure she bought them for me, because she was a kind person and quite probably quite literally a life-saver for me. Anyway, that’s all to say that these are Important Books to me. But I had never read them as an adult. So recently when I acquired a set of the books, I decided to re-read them all. 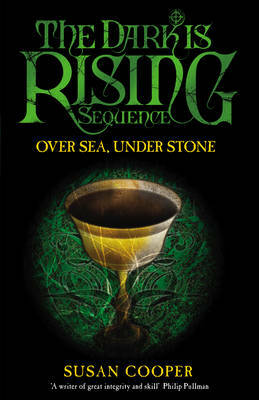 Over Sea, Under Stone: It was a bit odd re-reading this one, because I remember loving it so, so much. And, to be honest, it grated. First, all of the Drews do such stupid things (from my lofty & adult point of view). Oh yes, let’s go off in separate directions. Oh yes, let’s not tell the adults where we’re going. Argh! Second, there’s the relentless putting down of Jane, usually with the choice words, “just like a girl.” Double argh! And Barney is a bit of a Charles Wallace–awfully clever and too old for his years, but in a vaguely annoying way. What there is, however, is atmosphere, in heaps and spades. The sense of rising tension is amazing, and the setting plays into the story wonderfully. The Dark is Rising: With this one, on the other hand, I remember being seriously annoyed by the church scene the last time I read it. And, you know, I don’t agree with Cooper’s characters, but it didn’t overshadow the whole book for me. Again, atmosphere! The creeping, rising sense of things being not-quite-right is so amazing. Especially in the beginning, when Will doesn’t know what’s happening, but then again with the snow. I also loved the Stantons; they’re so full of warmth and humor, grounding the book as they ground Will. The Drews, at least in the first book, are a little too one-note, but the Stantons feel alive and real. 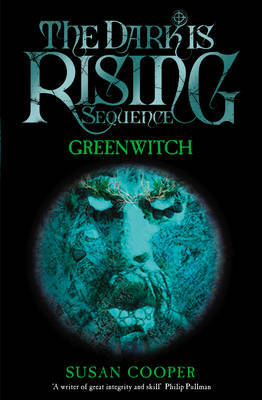 Greenwitch: This is an odd book, and vaguely frightening in a way that the others aren’t. I haven’t yet pinpointed why I feel this way, but I do. I think maybe it’s the figure of the Greenwitch, which seems so eerie and alien. More of the “Oh, Jane” sentiment, but it’s balanced a bit by Jane being the only one who can resolve the problem. All in all, not my favorite in the series. 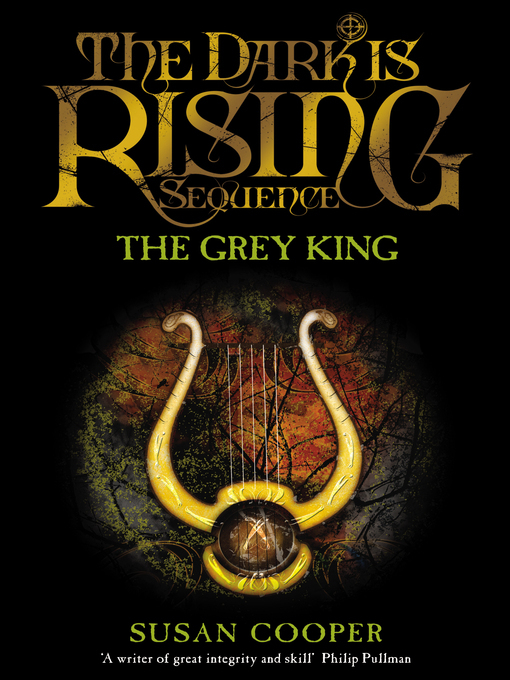 The Grey King: Again, this was an odd book to re-read! I had it so firmly in my head as the book with Bran, which made me start loving Wales, that it came as quite a shock to find Bran an enigmatic and ambiguous figure for most of the book. Of course there’s more atmosphere, because that’s the way Cooper is. And, of course, the beautiful descriptions of Wales and the bits of Welsh that began fascinating me back in the day. I do wonder if in some ways the narrative might have been more effective if it had been more from Bran’s point of view, but I’m not sure about that. Silver on the Tree: There are some beautiful descriptions here, and I found the way Cooper shifted between real world and different times via concrete images, like the swans very earl in the book. Also, she creates the same sense of nature’s relentlessness as in The Dark is Rising, except this time with the summer heat rather than the snow of midwinter. 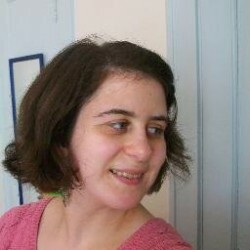 Also, Jane is much more a real person, which was immensely relieving to my feelings. I liked this one much more than I expected (the ending overshadowed the rest of the book in my memory), but I will say that the beginning of the Lost Land section didn’t work as well for me–it seemed very long and like it lost the momentum of the plot. I did love the way she mixes in Welsh history and myth, with Gwyddno and Glyndwr. (Also, GLYNDWR!) However, I still hate the ending. I still think it leaves the book without integrity. Because forgetting is presented as kindness, whether the characters want it or not, and I do not believe that. In a certain way, I have more trouble with the John Rowlands resolution than with the main characters. Regardless, I view that choice as a mistake. However, just as I was re-reading Silver on the Tree, R.J. Anderson linked to an after-series fanfic, and I read it after I was done. It’s now my headcanon end of the series, so if you would like to read it and make it yours: “all over these eyes a storm is rolling over”. It was both a weird and wonderful experience re-reading these books. It was interesting to note how much my perception of them had changed in certain ways. And yet a lot of what I resonated with, I resonated with again.